Experimental rapper and producer who began making waves in the early 2000's with acclaimed releases like Temporary Forever, Cosmic Cleavage and Fear of a Black Tangent. 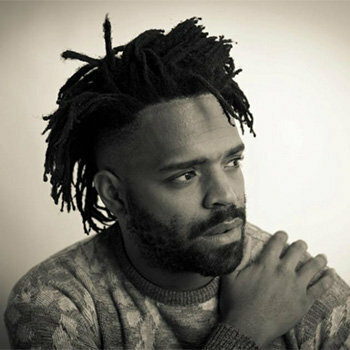 Born as Regan John Farquhar in Los Angeles, he was introduced to hip hop at an early age. He began rapping when he was 9 years old. By the time he was 13, he was part of the group 4/29 and at 16, he joined the Project Blowed scene. He has collaborated with rappers such as Myka 9, Nocando, 2Mex and Ellay Khule. He has been a featured artist on songs by Daedelus, Prefuse 73, Kool A.D. and more. His father is screenwriter and producer Ralph Farquhar. We know a very little fact about his dating life. He once appeared as a contestant on the dating show Blind Date. Bow Wow, whose real name is Shad Gregory Moss is an America rapper. He is also an actor and a TV show host. An iconic and phenomenal singer and songwriter from United States. She rose to fame in a musical industry after giving a hit album and singles 'fight song' and 'Stand by You'. She has also positioned herself in UK top charts and Billboard Hot 100. American country music artist and television personality who gained fame as a contestant on the fifth season of American Idol, and finished in sixth place.